Most people probably figured out by now that RSR stands for Ron Simons Racing. Here’s the short story. Ron Instructed for Porsche and Ferrari throughout the 90’s. After running the 75Experience in Nürburg Ron started the racing school RSRNürburg in 2002. The company is based at the Nürburgring in Germany and supplies track car rentals and driver instruction. Ron is also author of the Petrolhead Planet Nürburgring, both a drivers guide and a tourist guide for people visiting the Nürburgring. One of the highlights at RSRNürburg was hosting the launch of the NISSAN GTR supercar at the Nürburgring in 2008 and the organisation of events for Dunlop and Lotus. RSRNurburg serves over 1000 customers per year visiting the Nürburgring from countries all around the world. 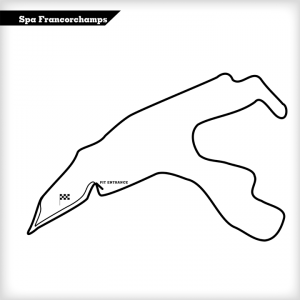 RSRNurburg expanded in 2009 with the company RSRSpa where the same services is offered at the track of Spa Francorchamps from summer 2009. In 2010 RSR signed a contract with Lotus Cars Hethel where Lotus offers the RSR school cars to use on there school programs at Spa and the Ring. RSR in return offers Lotus help with trackdays, driver instruction and supplies test drives to potential customers. RSR is also Renault Sport Partner and supplies the full range of sport/performance cars from this fine French manufacturer.